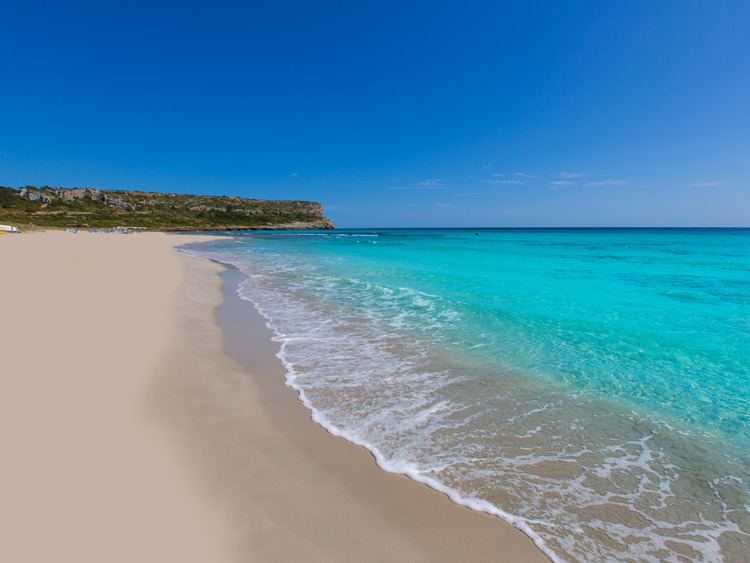 Son Bou, the biggest and most famous beach in Menorca, offers 2.5 km of white sand lapped by crystal-clear waters to spend a few hours relaxing or enjoying sports and water activities. We will travel by coach to Son Bou, Menorca's main beach. With its 2.5 km of golden sand, it is the longest and most famous beach on the island. There we can relax in the sun or take a dip in the crystal-clear waters of the Mediterranean. The beach offers a wide variety of chiringuitos, the typical beach bars where you can sip a nice cold drink and have a chat without a care in the world. Those of us who are feeling energetic can also enjoy sports and water activities (subject to an additional charge). This excursion does not include a guide. A local guide will provide general information in English. In order to participate guests must be able to swim. This excursion is reserved for guests who are not disembarking in Menorca.